NEVER BREAK A SAFETY RULE! Just yesterday I saw two beautiful children who looked like they were siblings, about 10 and 11 years old, riding their bikes in Tucson traffic. They were obeying traffic rules but THEY WERE NOT WEARING HELMETS. About an hour later in a movie parking lot I saw a man piling four children in the back compartment of his fully-occupied SUV, the place where you are supposed to put your luggage or your groceries which don’t need seat belts, but NOT YOUR KIDS! What were the first parents thinking? Don’t they know the science? 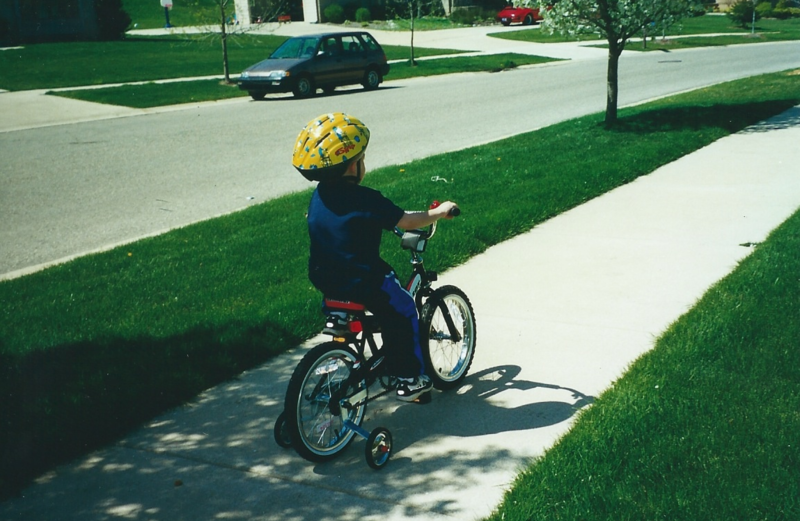 Kids should never be on a bike without a helmet. Helmets are cheap and effective. What would these parents think if one of their children suffered a fatal or disabling head injury? How could they ever forgive themselves? What was the second parent thinking? Maybe he thought he was a good guy piling all the neighborhood kids in his car and taking them to the movies. But what would he think if he was in an accident? Even if he is an excellent driver, another driver could hit the SUV and the impact could turn each unrestrained child in the back into a human missile that would collide with the rigid metal of the vehicle. Fatal or disabling injuries could occur. How would this man feel then? There are some accidents that seem unpreventable. But the overwhelming majority of accidents that happen to children are TOTALLY PREVENTABLE. But the kids can’t do this prevention job by themselves. They need parents who CARE, who KNOW THE SAFETY RULES, and who HAVE A SAFETY REFLEX which means they always put safety first. They see a bike and think helmet. Their child asks to use the bike and the parent thinks helmet. Parents with a safety reflex wouldn’t dream of starting a car unless every child is properly restrained. I hate to sound so preachy and dogmatic but seeing those children yesterday put me in a bad mood. I have dealt with too many preventable accidents in children and have had too many instances of trying to console unconsolable parents. All I can tell you is don’t let this happen to you. NEVER BREAK A SAFETY RULE!